COLUMBIA, S.C. (WOLO) – The Columbia Fireflies will host Special Olympics Night at Spirit Communications Park on Sunday, July 17. The Fireflies will host the Rome Braves for the 5 p.m. game. Proceeds from pre-sold tickets will be donated to Special Olympics South Carolina. Tickets are $9 and kids 3 and under are free. The deadline to order tickets is Friday, July 8. Tickets can be picked up at Will Call the day of the game. 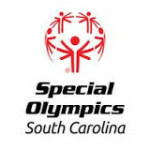 Special Olympics South Carolina is selling tickets as a fundraiser to help support the 24,848 athletes in the state. Pre-game festivities will include a sports demo from a local softball team from Airport High School, a Parade of Athletes, as well as, an athlete will be singing the national anthem and throwing out the first pitch. 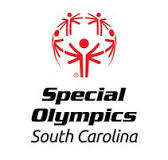 Tickets can be ordered by contacting the Special Olympics South Carolina State office, (803) 404-5519.